Chiang Mai, the Charm of the North, the center of culture and economy. 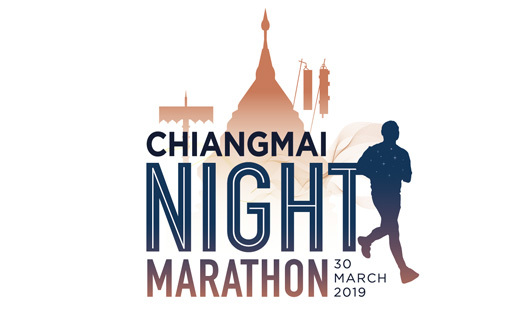 First time with Chiang Mai Night Marathon, the streets are closed for runners. The running route is through the land mark and tourist spot of Chiang Mai such as Chiang Mai Moat, Tapae Gate, Chiang Mai Night Safari, and many other spots. The government and private sectors also prepare the light show along the running route. A marathon or running events are very popular nowadays. Chiang Mai is also one of the target for runners because they host several events throughout the year. However, most of the running events are short distance and rarely host the marathon events. Chiang Mai, the Charm of the North, the center of culture and economy. Everyone in Chiang Mai, both the government and private sectors, are coordinating to host these events to stimulate the tourist business and to show the full potential of Chiang Mai to the tourist; both Thai and foreigners. Some of the revenue will be donated to Ping Nakhon Hospital to buy Medical Ventilator. We will also donate to Border Patrol Police School.